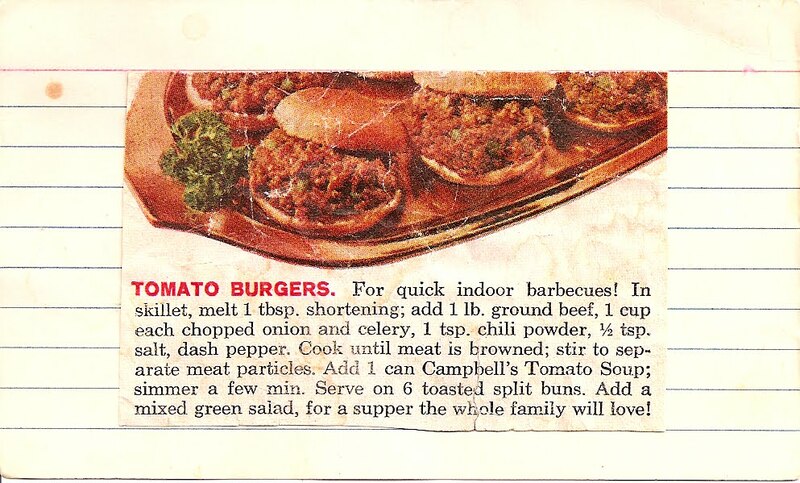 This sounds like the making of a vegetarian recipe, but NO! No it is not! There was no such thing as a vegetarianism in the 1950's! -Cook beef, onion, celery, chili powder until meat is browned.